“Our Dragon doesn’t eat the girls he takes…” begins Naomi Novik’s reimagining of an old fairy tale. Their Dragon is the lord of the valley, who collects tribute annually in the form of goods and gold. He is a wizard, who repays his people by keeping the Woods at bay and protecting them against other harmful magic. Once every ten years, though, he collects tribute of a different sort. A seventeen-year-old girl comes to live with him. She stays in his tower for ten years, then is returned to her parents. She never stays, though, not for longer than a few weeks. She goes, usually to the city, where she may marry or pursue a career, but never returns to the valley. The girls say he never touches them. Never harms them. Never uses them for anything other than basic cooking. Still, few people if any ever move away from the valley. They feel a rootedness, a connection to the land and to their homes. This makes these girls stand out. None of them stay. Not a single one. Kasia has always been the one who would be selected. She is pretty, talented, a good cook and seamstress. She is smart and witty and of the exact age to be chosen. Her best friend, Agnieszka, will be sorry to see her go. But Agnieszka is clumsy and average looking and has no obvious talents. Everyone knows that the magician always takes either the prettiest or the most talented girl, and Kasia is both of those things. The reasons for choosing Agnieszka become clear as the story progresses, and her story moves from the tower to the capital city then back to the valley again. The Dragon and Agnieszka must work together to fight the growing evil of the Woods, an ancient evil that is seeking more power and more land and threatens the home that Agnieszka loves so dearly. Novik is a remarkable story teller, and I finished her book (435 pages) in a single Saturday marathon read. Agnieszka is a bold and fierce heroine, smart and determined and loyal. She knows her own mind and is willing to claim what she wants. The story is rich and nuanced and stirring, filled with magic and action and romance and everything a fantasy should have. It even has a prince in it, though he is anything but charming! One thing I love is the way Agnieszka changes those around her. Enemies become friends, or at least stop being enemies, when she is able to impact them. The Dragon’s feelings for the Valley, the people, and Agnieszka herself evolve through the story. Several others change sides because of the pure mindedness of Agnieszka. She may not think much of herself, but she has a way of changing hearts and minds that has much less to do with magic and much more to do with her character. 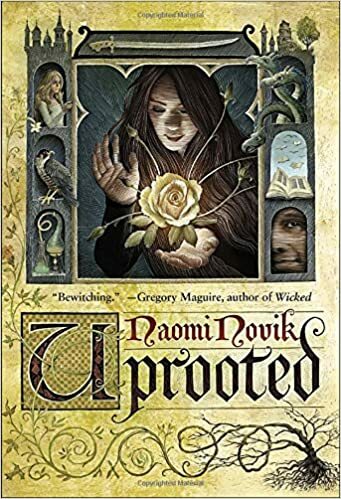 Uprooted is a special novel, and Naomi Novik is a gifted writer. 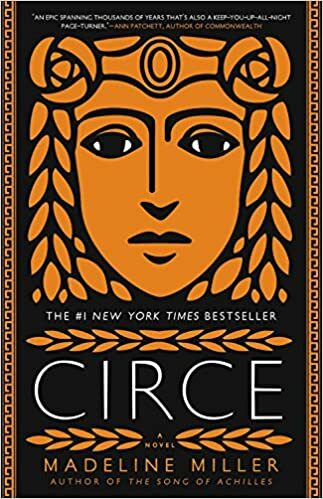 Circe is an old story, but this new (2018) book repackages the tale for a modern audience in a creative and vivid way. Madeline Miller has worked magic with this story of an ancient witch. No longer a sidebar to the story of Odysseus, Circe here is a fully realized character who, despite living much of her life at the whim and mercy of greater gods, refuses to be the victim of anyone else’s machinations or to be the forgotten tangent to anyone else’s odyssey. Circe is the daughter of a titan and a nymph. In this version, she is lightly regarded. Not pretty enough to be a true nymph, not powerful enough to be a true goddess, she lives on the fringes of her father’s palace until she discovers she has a talent for transformation. She is able to use plants to transform things–a mortal into a god, a nymph into a monster. Thrilled with her power but unwise in the ways of gods and titans, she demands her power be recognized. It is. Zeus himself takes notice of it, and orders her banished to an island where she must remain forever. She works hard there to master her abilities, and despite her exile she encounters many of the more well-known figures of Greek mythology. Hermes becomes her lover. She meets the Minotaur. Daedelus and Icarus. Jason and Medea. And, of course, Odysseus. Odysseus is charming, wily, mercurial, and sometimes cruel in this book. Circe falls in love with him, so much so that she allows herself to become pregnant with his child, but does not lose her head. She remains in control of herself and her island. This Odysseus physically returns from the Trojan War, but mentally and emotionally he never recovers from the brutalities of war or the voyage home. He survives every challenge, but most of those challenges were avoidable if he were a wiser or humbler man. Circe recognizes his faults, and lets him go on his way. Madeline Miller has taught Greek and Latin for many years and her love for the source material is clear throughout Circe. That love, though, does not keep her from giving this goddess a fresh voice and strong personality. I love the awareness of the character. She is a witch. She is a goddess. She has lived thousands of years. A sailor with PTSD is not going to trick her or seduce her into doing anything she does not want to do! Circe was named among the “Best Books of 2018” by many reviewers and media outlets. It is an ageless story about an immortal goddess, yet it is fresh and new and exciting. I loved it. S.A. Chakraborty’s debut novel, The City of Brass, was one of the most highly honored fantasy novels of 2017. 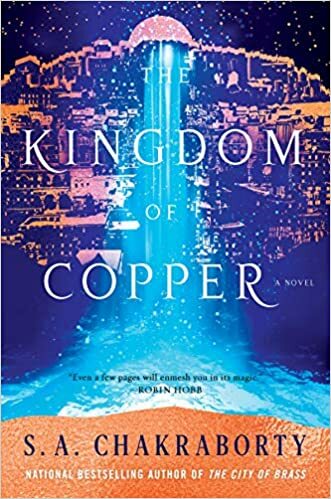 Her 2019 sequel, The Kingdom of Copper, continues the epic story of the healer Nahri, the djinn Dara, and the prince Ali. Set five years after the events of the first novel, Nahri is enduring her forced marriage to Ali’s brother and continuing to learn the healing arts. Her magical abilities are growing, allowing her to heal more complex problems, but her political acumen still is lacking when it comes to dealing with challenges in the court. Still, she is the Banu Nahida, a title which not only reflects her healing ability but also carries religious and political leadership within her tribe. This makes her both a potential ally and a potential threat to the king. Ali escaped assassination and is living quietly in an oasis in the desert with the people who rescued him. He has recovered from his physical injuries but is coming to terms with new powers he did not have before: the ability to find water and the ability to breathe underwater. This connection to water is extremely helpful to the desert tribe that saved him, but would be very challenging to the city where his father rules. He has reconciled himself to never returning home. Others, though, have made different plans for him. And Dara. Dara was killed by Ali during their final battle in the first book. But djinn can be hard to kill permanently–after all, Dara had killed Ali first during that battle and Ali refused to stay dead. Dara is brought back to life to serve the Banu Nahida…but not Nahri. There is another Banu Nahida with a claim in Daevebad, and this one is no potential ally to the king. Chakraborty’s novels are rich and deep and sweeping. She creates a beautifully layered Arabian world, one where the human world and the world of the djinn occasionally intersect but are typically separated, almost like an overlay on a map. Her characters are schemers and dreamers and scholars and warriors. Religion is both crucial and ignored, with some characters motivated by zealotry while others acknowledge divinity only for public show. Although the books are set in the Islamic world of about 120 years ago, they are set in the djinn version of it with little (in this book virtually no) contact between the two. Only descendants of the magical tribes can enter this world. Some of these are partially human, but no fully human person can see or enter the world. This gives the author great freedom to imagine a world that is more like the world of Aladdin than the world of European colonialism. She uses that imaginative license fully, giving us extraordinary palaces built on the abject poverty and misery of slums. Poor and oppressed people living in squalor often face harsh punishments for the decisions of the rich, even decisions that are meant to help those poor and oppressed people. Powerful people enjoy the status quo and are committed to maintaining it at any cost. Chakraborty is giving fantasy readers a rich and epic series. Although it is described as a trilogy, I would be sorry to see it end with the next book. 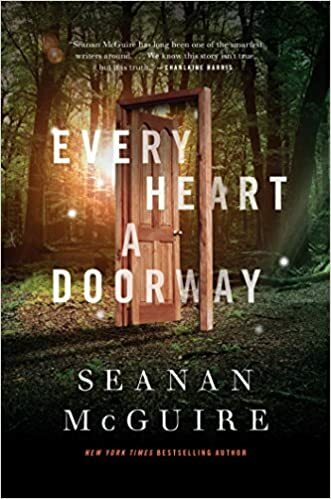 I am developing one of those strange relationships with this series: I am excited for the next book to come out, but I am dreading it because it is supposed to be the last one of the series. Still, I am a richer person for having walked through the streets of Daevebad for however long the series lasts. 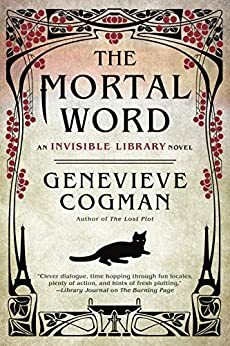 The Invisible Library has become one of my favorite series, and a new book by Genevieve Cogman is a delight I look forward to enjoying as often as it comes. The Mortal Word, the fifth book in the series, is possibly my favorite one so far. Irene has just returned to London and is visiting her friend, renowned detective Peregrine Vale, when another librarian summons her and Vale to investigate a murder. A secret peace conference is going on between mortal and historic enemies, the dragons and the fae, and the librarians are mediating the conference. However, the entire conference may fail now that one of the senior assistants to the dragons has been murdered. Is this an untimely random crime? Is a rogue outside element trying to disrupt the peace conference? Or is something darker at play? Irene, Vale, and her former assistant Kai are caught up into the intrigue surrounding the conference. All the players have their own agendas, and being magical beings sometimes their agendas become reality by the strength of their desires. Add in the beauty of Paris, the chaos of some anarchists, a fae witch who likes to bathe in the blood of virgins, and a librarian with bold plans for a new library mission, and you have a whirlwind adventure that spins from attempted kidnapping to attempted murder to a final confrontation between the powers of order and the powers of chaos. Irene is the powerful center of this story, as she is in all the novels of the series. In this book, though, she seems to be more comfortable with her own power. She recognizes that although the investigation is to be led by Vale, she must be the driving force behind it. She realizes that the fate of her parents and the library itself rely upon her judgment and actions. She handles herself with deportment when faced by the powers of dragons and fae. And she works to save the conference and the attendees even in the face of opposition from fellow librarians. In short, the heroine we’ve seen developing through books 1-4 is beginning to not only act like the kickass leader she is, she is beginning to believe in herself as well. All in all, The Invisible Library series is getting better as it ages, and The Mortal Word takes the story and the characters in some very good directions. Irene gains confidence in herself, is acknowledged for her gifts and leadership by others, and Cogman succeeds in crafting another exciting story in a series filled with them. When a prize-winning journalist turns his skills toward writing a war novel, the result is likely to make multiple lists of “best books of the year.” American War has done just that in 2018. Omar El Akkad was born in Egypt, grew up in Qatar, and then moved to Canada. He worked as a journalist, covering news about terrorism, Guantanamo Bay, the Arab Spring, and the Black Lives Movement among many others. This experience shows in his novel. Late in the 21st century, climate change has ravaged the southern US. The country has fractured. The south is in rebellion, large portions of the southwest and west have been reclaimed by Mexico, and South Carolina has been quarantined to prevent the spread of a man-made virus. In this stew of violent weather and more violent humanity, one family tries to survive. The Chestnuts live in a repurposed shipping container along a river in Louisiana. Benjamin and Martina have three children. 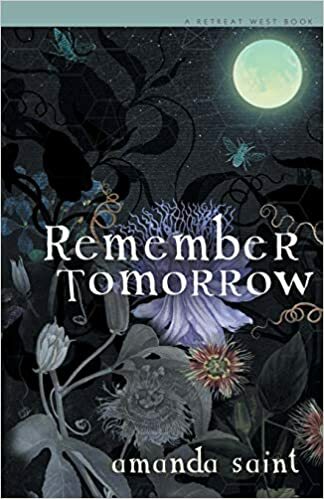 In 2075 when the book starts, older brother Simon and twins Dana and Sara T.–who prefers to bind the name and initial together in a single word, “Sarat”–are living at home with their parents when their father learns of an opportunity to move the family to the north. North, away from the war, away from the ravages of climate change, a place where his children can go to school and grow up and have a better life. Tragically, a suicide bomber attacks the office where he is applying for the job, and he is killed. Martina tries initially to stay in their home, but as the war and rumors of attack get closer to them, she finally decides to flee with her children to a refugee camp. Her hope that this will be a temporary situation and that her family will soon move on, either to the north or to Atlanta, the capital city of the south, or to the Mexican-controlled areas of Texas, fade as the family is stuck in the camp for years. During that time, Sarat falls under the tutelage of an older man, a recruiter, someone who finds vulnerable persons and turns them into weapons for the South. Some of his recruits wear suicide vests and die performing their one act of patriotism/terrorism. He has much bigger plans for Sarat, though. American War is about the destruction of a country, largely through self-inflicted wounds. The plague which isolated South Carolina was a genetically engineered virus. The climate change was caused by overuse of fossil fuels. The second war between the states started because one group of states refused to stop using fossil fuels when the federal government demanded they stop. It is also about the destruction of a family, mostly from wounds inflicted by a damaged country. Sarat becomes a killer, but not until death is brought to her own door. Simon, Dana, Martina, all suffer profoundly because of the climate and the war. Even the book’s narrator, who is not revealed until near the end, is a victim of these forces even though much of the book’s narrative takes place before the narrator is born. El Akkad’s story is far too familiar to anyone who has followed news around the world. The refugee camp he describes, set in Mississippi, sounds like camps that have been in the news for decades in places like Lebanon and Syria and Ethiopia and many other places. The recruiting of vulnerable and hopeless people in those camps is not a secret. The cruel irony, of course, is that the recruitment preys on hopelessness, telling people they will never get out, while racist politicians use that same recruitment as a reason to bar entry of refugees into their countries, thereby assuring that they will never get out. The casual cruelty of people toward each other, the manipulation of story to sway opinion, these are things that we see constantly. The power in El Akkad’s work is seeing these things set in the US, seeing foreign spies and provocateurs operating within our shores, reading about people who look like us and talk like us becoming no different in our desperation than those in other countries in their desperation. 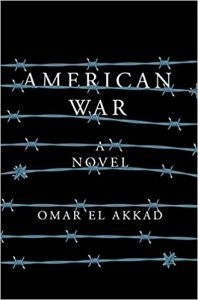 American War is a powerful, beautiful, tragic, deeply moving novel. Hopefully it is one of speculative fiction, and not one of prescient insight. Given some of the divisions within the US and the possible consequences of increasing global warming, it’s hard at this time to be sure. I have to admit, Tom Clancy novels have been a guilty pleasure of mine for about 30 years. 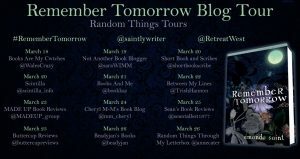 Recent years have seen the stories picked up by new authors, including Marc Cameron, a retired Chief Deputy US Marshal with more than 30 years law enforcement experience and the author of the Jericho Quinn thriller series. 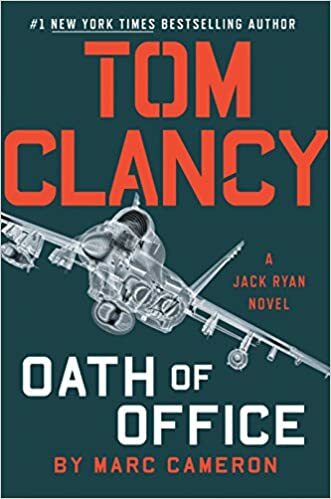 His latest, Oath of Office, carries the hallmarks of the traditional Tom Clancy Jack Ryan books: formidable enemies at home and abroad, daring intelligence and military personnel ready to give their lives in service to America, and timely fortune favoring the bold actions of one President Jack Ryan. Cameron takes full advantage of the Clancy company of stars: President Jack Ryan; Jack Ryan, Jr.; John Clark; Ding Chavez; Mary Pat Kelly; Arnie Van Damm; Dom Caruso; etc. He also brings back an old character, Ysabel Kashani, a former girlfriend of Jack Ryan, Jr.’s, who is not very happy with the way their relationship ended. And he introduces us to new characters, some who do not survive the novel and others who may be heard from again later. Enemies include old foes Russia and Iran, new challenges from Cameroon and unknown cyber criminals, and an angry senator on the domestic front. Balancing these multiple foes is a challenge for President Ryan and his team. It is also a challenge for author Cameron, but one he handles adroitly. The action shifts quickly from chapter to chapter, from Washington to Tehran to Moscow to Portugal and other places, shifting perspective from the president to his son to the bad guys to other characters. With less care this could become confusing, but Cameron clearly introduces each chapter without being clunky. Cameron can be criticized for the role women play in the novel. It is definitely a book where the men are men and the women are injured or rescued. The female with the most agency is an enemy assassin. This is typical of the Clancy novels, and indeed probably the majority of novels in the thriller genre. Still, Oath of Office is an improvement over some in the genre (and even some in the Clancy canon) where women are little more than sexual objects. Given that the heroes of the series will always be Jack Ryan and Jack Ryan, Jr., women will probably always be secondary characters. Cameron does include numerous minor characters of color, and should be commended for giving us Iranian and Russian characters with some complexity and not universally opposed to the US. Still, there is much room for improvement in the use of both female characters and characters of color. Still, this is a fun book. For Clancy fans it brings back the usual team, returns an old ally, and introduces new characters who may see future action. Cameron is a good writer and creates a complex and engaging plot. Thriller fans will not be disappointed. A few years ago I read the novella Rolling in the Deep by Mira Grant. It was one of the most frightening books I have ever read. I seldom read horror. My imagination tends to feed nightmares when I do. Rolling in the Deep, though, was a true science fiction horror, along the lines of the movie Alien: mermaids (more accurately, sirens) attack and literally everyone dies. Every. Single. Character. So, obviously, a sequel was needed. And, admittedly less obviously, I had to read it. I don’t mean to sound snarky. A sequel was needed, because the first book was that good. That’s also why I had to read it. 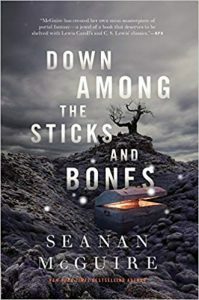 Mira Grant, a pen name for author Seanan McGuire, is a brilliant writer under either name. Under her own name she usually writes urban fantasy. Mira Grant is more of the science fiction/horror genre. Under either name, though, you can expect excellent writing, gripping plots, fantastic character development, and someone dying. Often, a lot of someones. Into the Drowning Deep tells the tale of the follow up mission to that ill-fated voyage. The company that funded the first is a television network that wants to prove the existence of sirens. They have pulled together a team of marine biologists, oceanographers, cryptozoologists, and various other disciplines. They have also brought some big-game hunters and armed security guards, and obviously some on-air talent and videographers. Among the scientists is Victoria “Tory” Stewart, the sister of Anne Stewart, a victim of the first mission. 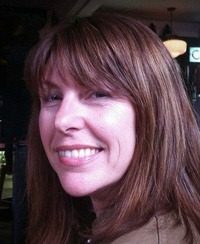 Tory is hoping to gain some understanding as to how and why her sister died. Part of what Grant does so well is explore the motivations behind different characters. Some are straightforward: a Ph.D., tenure, fame, recognition, wealth. Others are more complex: validation, understanding, purpose. By the end, though, they all have one common motivation: survival. Because the sirens are coming, and they like the taste of human flesh. 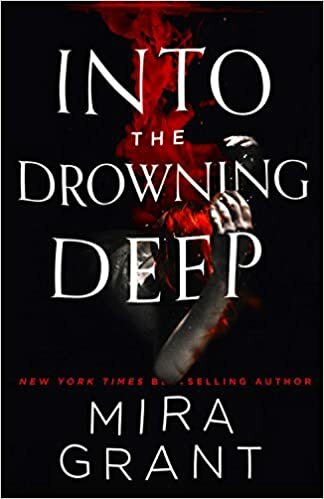 Into the Drowning Deep may do a better job than any fiction book I have ever read at giving voice and empowerment to characters with different abilities. Two of the scientists are deaf. The on-air talent is on the autism spectrum. The man representing the network has a severe back and leg injury. Every one of these characters brings talent, intelligence, and courage to the fight against the sirens. That is not to say their challenges make things easy: one of the deaf scientists is killed, and another is left alone in a room because she cannot hear the alarms. The injured representative is stuck in a chair when he cannot access his medicine, and only timely access to THC-laced chocolates keeps him from incapacitation. But these characters are on the ship because of their talents and abilities, and those talents and abilities become more valuable as the ship is under siege. If you are easily freaked out, do not read this book. If you cannot stand blood and gore, don’t get it. But if you are fascinated by the thought of encountering a different intelligence, one that has been part of human mythology worldwide, one that has neither love nor hatred toward us but rather one that thinks we are rather tasty, the Mira Grant has the perfect novel for you. Creative, bold, creepy, and really, really good. I’m sure I’ll be able to sleep again. Someday.